First time I saw him .... I don't even remember, but I thought then, ugh... he's so ugly. 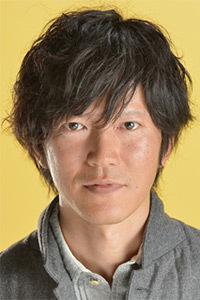 =/ I don't know if I think he's so particular skilled actor, but I like the roles he does, especially in Garasu no Kamen. Pretty Girl was also okay. I didn't like him in Kimi wa Petto, maybe because he was too "perfect" there, and then I like the character of Matsumoto Jun better... Anyway, I bought Tanabe's "Life is journey", haven't watched it yet. The first time i saw him is in Grasu No Kamen (playing the role of Masumi Hayami). Since then i am a huge fan of him! I admire his work as an artist (besides acting) because he is known as a writer, movie producer, director, also a multimedia artist (see his website: swim digitalian, now: pleap.net). Such a multitalented person. I admire him because of his talents. He is truly one of the best Japanesse actors.